In some magical traditions, an ingredient called lodestone is incorporated into spellwork. What is lodestone, and how can you use it? A lodestone is, on its most basic level, a natural magnet. It's a piece of the mineral magnetite that has been magnetized — interestingly, not all magnetite is magnetic. The magnetic properties have to do with changes to the molecular structure. If you're lucky enough to have a piece of magnetite that is actually magnetized, then you've got a lodestone in your possession. You can buy lodestones commercially or find your own, which can be a bit of a challenge, depending on where you live. If you buy them, keep in mind that you don't need a giant stone for magical workings; small, individual-sized pieces are just fine in nearly every magical situation. Like many other aspects of magical practice, how you should care for a lodestone is going to depend on who you ask. In general, however, you should probably not repurpose a lodestone or pair of them. Once a working is complete, go ahead and discard the stone or stones – burying them is a perfectly acceptable disposal method. If you're still using your lodestones, for an ongoing working, and you feel like you need to clean them, for goodness' sake, don't use water. They'll rust! Instead, a number of folk magic practitioners recommend using alcohol—specifically, whiskey—to clean your stone. You can also use a method called smudging, which entails leaving it out under the light of the full moon. 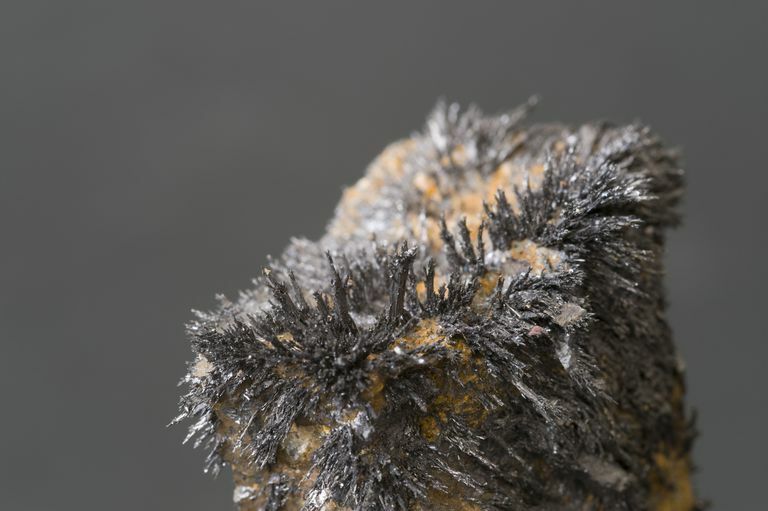 When a lodestone no longer possesses its magnetic ability, it is said to have "died." If you drop your lodestone repeatedly, expose it to excessive heat, or bang it around, you may end up with a dead stone. If that happens, simply bury it and obtain a new one as a replacement. Lodestone attracts iron—nails, pins, any bits of iron you've got lying around. You can also "feed" your lodestone bits of iron shavings or magnetic sand—and this will come in handy for spellwork. The shavings often look like bits of metallic hairs when they come in contact with the lodestone. In many traditions of hoodoo and folk magic, a lodestone is used to attract money. Feeding the lodestone with bits of shavings will draw prosperity to you. You can place a small lodestone—because they are fairly heavy—in a pouch and carry it with you for financial success. Some magical traditions use a matched set of lodestones in love magic. Place a “male stone,” or one which is elongated and phallic-shaped, near a “female stone,” which is rounded or triangular. Assign each stone a name to represent the people who are the focus of the spell, and gradually move them closer to one another. Eventually, when they are beside each other, they will stick together. Cat Yronwoode of LuckyMojo says, "Single large Lodestones are used to draw money or luck, while paired 'male' and 'female' Lodestones play a role in spells to attract a lover; to secure mutual fidelity. The lodestones are sprinkled with magnetic sand (ultra-fine iron shot) to 'feed' them and enhance their power, and they may also be dressed with anointing oil." Another use of lodestone is that of a natural compass. Viking explorers used lodestones to their advantage in conquering other societies—it helped with navigation and allowed them to find their way. Use it if you’re practicing elemental magic that calls for invocation of the four directions. According to Occultopedia, lodestones were used in classical Greek mythology for divination purposes. Helenus of Troy, the son of King Priam and twin sister of the prophetess Cassandra, foretold the Trojan War using a lodestone washed with spring water. Following a complex ritual, Helenus asked the lodestone a series of questions, and it responded in a child's voice, describing the fall of the city. Helenus, an accomplished seer, was also part of the Trojan army. He betrayed Troy to the city's enemies, the Achaeans, so they could take the city using the information Helenus gleaned from the lodestone oracle. Finally, an African folktale tells of a man who decided to use a piece of lodestone placed under his bed to cure his impotence. It worked so well, and his wife was so happy, that he began to carry it in his pocket wherever he went—naturally, this attracted many other women to him, which led to his wife getting angry and refusing his advances.